TheStreet.com, a digital financial media company, has issued their Top Ten Technology Companies for 2010 List and have named Microsoft as the #1 most Innovative Technology Company for 2010. The list originally posted on December 22 also details their reasoning behind each entries rank that was given. 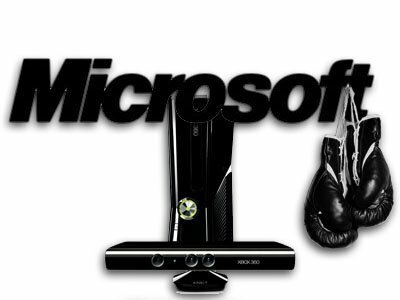 Through the release of the iPad, the iPhone 4, the latest iPods, the constant stream of Android Devices, even through the reigning king of game consoles, the Wii, Microsoft has climbed to the top of the list with none other than the new Xbox and the Kinect! The year, to be honest, looked bleak for Microsoft after the failure of the Kin. Even with the constant negative reaction to the failed phones, Microsoft kept their heads up, admitted the failure and still came out swinging like a heavy weight boxer to end the year as The Champ. Yes, we know, Windows Phone 7 manufacturers have only “sold” 1.5 million devices in six weeks — roughly equal to the number of Android phones activated every seven days. Yes, we know it’s been more than a year since the launch of Windows 7 and that there’s still no market for the Zune. But anyone remotely associated with the video game industry knows that Microsoft is no longer playing around with its Xbox and Xbox Live stable of products. First off, after slimming its Xbox 360 hardware and just about eliminating the “red circle of death” failures that cost gamers hundreds of dollars in console investment, Microsoft snagged the console sales lead from Nintendo’s Wii and has held it for months. Also, after years of taking a back seat to the Wii’s fun little motion controllers and Miis and getting beaten to market by Sony PlayStation Move motion device, Microsoft sold 1 million versions of its $150 controller-free Kinect motion-capture device within 10 days of its Nov. 4 release and 2.5 million before the end of November. By all accounts, that should have been a tough sell, considering the console itself goes for as little as $199, but a good concept and great third-party partner products such as Viacom’s infectious Dance Central remind us what Microsoft is capable of when its back is to the wall. A lesser known company, Bloomberg Businessweek, puts MS at #3. They have Apple at #1 and Google at #2. They have a bit more credibility than TheStreet (whom I’ve never heard of before this silly list of their’s).